Considered by many a legend in both the technology and financial industries, and the dean of venture capitalists on the East Coast, Harry has accomplished a great deal with limited resources. Throughout his career, Harry has been known for his energy and outsized results; partly due to the highly honed skills that Harry developed in mnemonics, speed-reading and speed math. Without a supporting team, Harry was named an All Star Security Analyst by Institutional Investor magazine and was the most quoted analyst on Wall Street for a decade. Harry left Wall Street when the CEOs of ten of the world’s largest multinational corporations (AT&T, Viacom, 3M, Ford Motor, Cincinnati Bell, Colgate-Palmolive, Reed Elsevier, Imation, Asea Brown Boveri and UPS) each in a different business, entrusted him with corporate rather than pension money to manage a series of four strategic venture capital funds. Two additional prominent limited partners were Harbourvest and Wellcome Trust which entered the partnerships through secondary purchases. Harry worked closely with the top management of his corporate partners providing strategic assistance, consulting advice and contacts. Other venture capital funds managing equal sums often had four times the personnel and expenses of the Edelson Technology Partner funds (ETP). By way of contrast, Harry, with a tight staff of only five, was able to voluntarily return to the limited partners 30% of management fees annually. Harry’s career includes a long line of firsts. In the 1970’s he was the first wall street analyst to combine coverage of computers, software and telecommunications. At that time, there was not even one buy side telecommunications analyst. He conducted the first video conference call on Wall Street bringing together CEOs and investors. 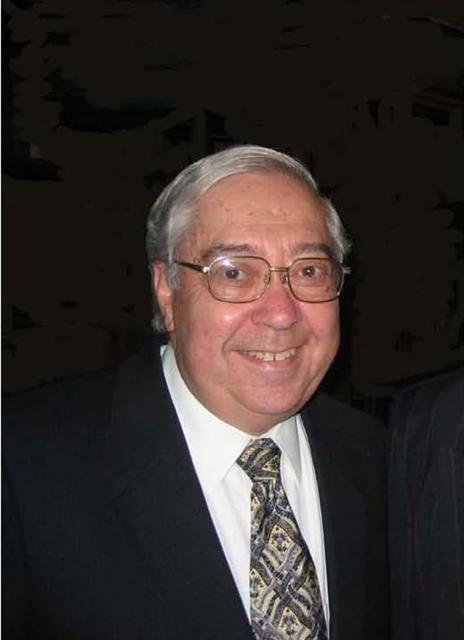 Because of his background as a computer engineer and telecommunications engineer, and his innovative research on the confluence of computers and telecommunications, Harry performed consulting assignments for more than 50 corporations. In 1979, before hedge funds were popular, he started a hedge fund for CEOs of technology companies and had positive results in a severely down market. His venture capital performance over a 20-year span was rated number one of all venture capital firms in the Eastern United States by two of the four leading auditing firms. The annual return (IRR) for his funds averaged 27%, even through the disastrous stock market decline of 2000-2002. The Edelson Technology Partner funds were the first venture capital investor in eleven early stage companies that grew to have market capitalizations of more than $1 billion and up to $100 billion. This was accomplished in part by Harry’s instigation and support of numerous M&A transactions. Harry has served on over 150 boards, 12 as chairman. In 2007 Harry raised $40 million for a public Special Purpose Acquisition Company (SPAC) whose mandated goal was to merge with a Chinese company within two years. To complete the merger by a 2009 deadline, Harry traveled to China 13 times in 18 months. His travels to numerous provinces in China entailed visits to 50 companies involved in diverse industries. In 2009, against all odds, when 35 other SPACs failed to complete their mergers and had to dissolve, Harry successfully completed a merger. ​In 1988 the Premier of the Chinese government asked Harry to assist his son in finding employment with one of the limited partner companies. Later Harry helped the son with the admissions process to the MBA program at MIT. Featured speaker at dozens of financial and technology conferences in the U.S., Europe and Asia including Gaim, Super Return, Harvard University China Review, IBF Corporate Venture Capital, National Investment Banking Assn, American Electronics Assn, ADAPSO, CCIA, etc. Authored numerous articles for technology, financial and corporate governance magazines. Featured columnist for technology and corporate governance magazines. Author of acclaimed book "Positivity How to be Happier, Healthier, Smarter, and more Prosperous."